A lively and trusted destination for fashion, dining and entertainment, Hawthorn Mall is a super-regional shopping center located in Vernon Hills, Illinois. Anchored by Macy's and JCPenney, this indoor shopping mecca offers a collection of over 120 stores including high fashion brands like H&M, Michael Kors, Sephora, Swarovski and Victoria's Secret. 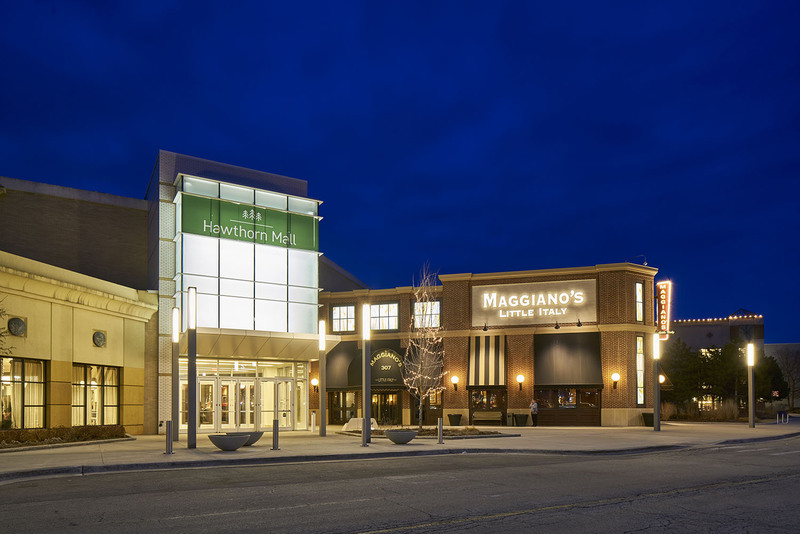 In 2015, a $50 million redevelopment project was complete, bringing exciting new additions to Hawthorn, including a 40,000-square feet Dave & Buster's, a state-of-the-art AMC Hawthorn 12 movie theater, and Lake County's only Maggiano's Little Italy. Hawthorn Mall is conveniently located at the intersection of Lake County's two major thoroughfares (IL-21 and IL-60), just 2.5 miles west from I-94.